This entry was posted on April 1, 2013 by Christopher Martin. 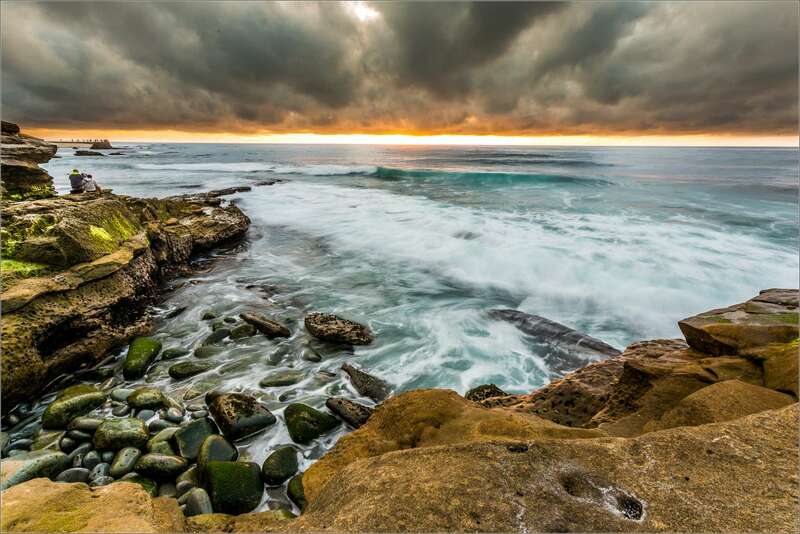 It was filed under California, Landscapes, Sunset and was tagged with California, coastline, La Jolla, landscape, Pacific Ocean, rocks, rocky coastline, seascape, shoreline, sunset. La Jolla is a lovely place. So much wildlife in a populated area. Great photo! Wonderful! I really want to try this technique as I live close to the water – has it been processed into HDR or is this the natural depth of contrast and colour? Beautiful Chris. have a great vacation.